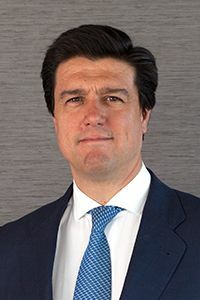 Mr. Javier Garcia-Carranza Benjumea is currently Executive Vice-President of Banco Santander, in overall charge of Restructuring, Holdings, Property, Recovery Strategy and Disposal of Loans and Assets. 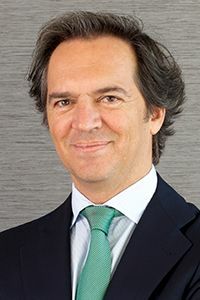 Before joining Banco Santander in February 2016, he worked at Morgan Stanley in London as Co-Head of the Real Estate investment banking business in EMEA (Europe, Middle East and Africa). At Morgan Stanley, he advised clients on M&A matters and equity and debt financing transactions in excess of $100 billion. The most significant transactions included the IPOs of Fadesa, and Emaar Maals Debt and Equity, the Aldar-Sorouh merger, the acquisition of Gecina by Metrovacesa, the acquisition of Urbis by Reyal, the restructuring and IPO of Inmobiliaria Colonial, and the acquisition of Testa by Merlin Properties, among others. 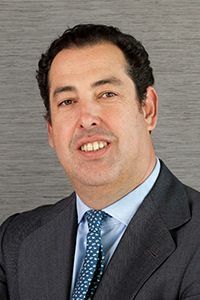 Mr. García-Carranza also has experience in investment business, having made investments for Morgan Stanley Real Estate Funds and the Morgan Stanley Special Situations Fund in the UK, Spain, Italy, France and Germany in excess of $5 billion. Mr. García-Carranza is a member of the Board of Directors of Metrovacesa, S.A., Metrovacesa Suelo y Promoción S.A., Sociedad de Gestión de Activos Procedentes de la Reestructuración Bancaria (Sareb), Altamira Asset Management SA and Altamira Real Estate. Mr. García-Carranza has a degree in business administration from Universidad Carlos III in Madrid. Mr. Clemente has over 20 years’ experience as a real estate professional. He has worked at Garrigues, Bankers Trust REIB, DB Real Estate and RREEF, as Managing Director. Mr Clemente has participated in transactions with an aggregate volume of approximately €5.0 billion across all property sectors. These include the sale and leaseback of the Tree Portfolio, the largest real estate transaction executed in Europe in 2009. During his tenure at RREEF, he was responsible for a team managing an asset portfolio of more than €3.0 billion, representing the full range of global funds advised by RREEF. This team also raised seven investment vehicles, representing approximately €500 million of equity on behalf of Spanish private clients and family offices. Mr. Clemente holds superior degrees in Law and in Economics & Business Administration, with a specialisation in Finance, from ICADE (E-3), is a lecturer of the MRE programme at IE Business School and a member of the Spanish Council of the Urban Land Institute (ULI). Mr. Ollero has over 13 years’ experience as a real estate professional. He has worked at Arthur Andersen, FCC Construcción, Deutsche Bank M&A and RREEF, as Managing Director. During his tenure at RREEF, he led the execution of real estate transactions with an aggregate value of approximately €4.0 billion, ranging from Core to Opportunistic, as well as the subsequent asset management of the resulting portfolios. He also played a key role in the structuring and equity raising of five investment vehicles for the Iberian peninsula and Morocco, in cooperation with the Private Wealth Management Division of Deutsche Bank. Mr. Ollero holds superior degrees in Law and in Economics & Business Administration, with a specialisation in Finance, from ICADE (E-3). Mr. Donald Johnston was CEO of the European Mergers and Acquisitions Group at Deutsche Bank from 1999 to 2005 and Chairman from 2005 to 2010. Member of the European Management Committee and Global Banking Operating Committee for Deutsche Bank’s Global Corporate Finance Division. He joined Deutsche Bank on the acquisition of Bankers Trust in 1999. He was a board member at Bankers Trust International and a member of the Global Management Committee. 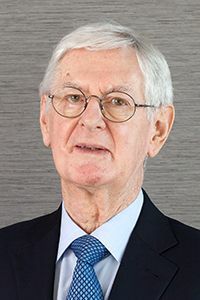 He joined Bankers Trust as head of European M&A in 1992 and subsequently became co-head of Investment Banking in Europe while continuing to run BT Wolfensohn. He worked for Salomon Brothers for 11 years where he was head of the investment banking division for Spain, Austria, Italy and Portugal. Member of the Board of Directors of Acerinox. Mr. Johnston holds a B.A. degree in Political Science and Spanish from the Middlebury College and a M.A. degree in International Economics and Latin American Studies from The Johns Hopkins University School in Advanced International Studies. Ms. María Luisa Jordá has held various executive positions during her 30 years of professional career as a member of different Management, Investment and Audit Committees. She worked as Chief Economic and Financial Officer of the Deoleo Group until February 2015. She served as Chief of Internal auditing and Corporate Governance of SOS Corporación Alimentaria (currently Deoleo, SA), Chief Financial and Economic Officer at Metrovacesa, Finance and Investment Director of Corporación Empresarial ONCE, Economic and Financial Director of Grupo Alimentos y Aceites, S.A., Economic and Financial Director of Testa (formerly Prima Inmobiliaria) and Grupo Ayco (formerly Inmobiliaria Alcázar). She has a bachelor in Business Administration from Complutense University in Madrid and she is a member of the Official Register of Auditors (ROAC). Member of the Board of Directors of Jazztel. Ms. María Luisa Jordá holds superior degrees in Business Administration, and a master in Business Administration from the IE. She is member of both the Official Register of Auditors (ROAC) and the Institute of Directors and Managers (ICA). Ms. Ana García Fau has worked over the last 20 years at McKinsey & Company, Goldman Sachs, Wolff Olins, Telefónica Group and hibü (formerly Yell Group). 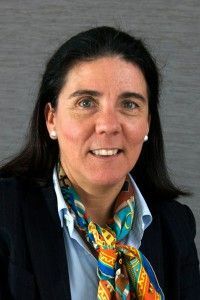 Throughout her professional career in Telefónica Group, she held several positions at TPI-Páginas Amarillas, such as CFO and Managing Director of Corporate Development. At the same time, she was member of the Board of Directors of Publiguías-Chile, TPI Peru, TPI Internacional, Telinver-Argentina and Adquira, among others. In Yell-hibu, she served as CEO for Spain and Latin America for 7 years, as a member of its International Executive Committee and as International Chief Strategy and Business Development Officer. 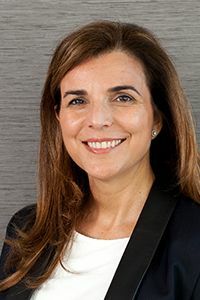 Member of the Board of Directors of Eutelsat Communications S.A.
Ms. Ana García Fau holds superior degrees in Law and in Economics & Business Administration from ICADE and an MBA in Business Administration from MIT Sloan School of Management. 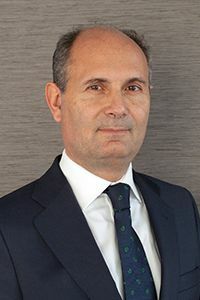 Mr. Fernando Ortiz is founder and Managing Partner at ProA Capital de Inversiones, SGECR, S.A., one of the largest private equity firms in Spain with over €300 million under management. He was a Partner at N+1 and was a member of the Executive Committee. Over the course of his tenure in N+1, which he joined in 2001, his primary responsibility was transaction origination, execution and the monitoring of portfolio company investments through to divestment. Mr. Fernando Ortiz had prior private equity and venture capital experience as a Director of Private Equity New Technologies at BBVA. Prior to BBVA, he was a Corporate Finance Director at ING Barings. Mr. Fernando Ortiz started his professional career at Arthur Andersen Legal and Tax Advisors, currently Garrigues, where he dedicated five years principally in tax and legal advisory work. Mr. Fernando Ortiz holds superior degrees in Law and in Economics & Business Administration from ICADE. 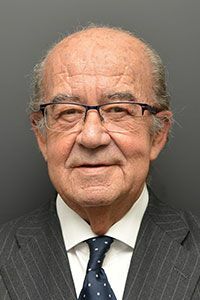 Mr. Gomez-Hall has over 48 years of experience in the Spanish real estate market, holding management positions in several of the main real estate companies in Spain. Mr. Gomez-Hall has formerly been CEO for Hines Spain, the Spanish subsidiary of Hines. Prior to that, Mr. Gomez-Hall was the founder and CEO of Prima Inmobiliaria, a public real estate company listed in 1998. The company developed and acquired above 300, 000 sqm GLA across different asset categories, predominantly office. The company was sold to Vallehermoso in 2001 and was renamed Testa Inmuebles en Renta, S.A.
Mr. Gomez Hall holds a BA degree in Architecture from Hammersmith Arts & Crafts, part of London University. Ms. Francisca Ortega Hernández-Agero began her professional career at Caja Naval de Crédito as head of the Risk and Investment Department. In 1990 she took on the financial management of PBI Gestión Agencia de Valores, a subsidiary of Bearbull Internacional, with responsibility for managing funds of foreign companies in Spain. 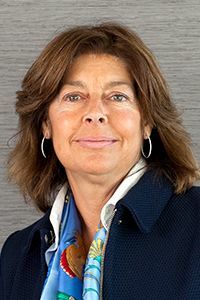 She joined Banco Central Hispano in 1996 as corporate banking risk manager, before subsequently becoming, as part of Banco Santander, head of the acquisitions finance division and head of the structured finance management and control division. She has been head of the large clients department within the corporate holdings and restructurings division since 2009, taking on sales of corporate single names and projects for conversion of debt into equity 2013. She is currently a director of Metrovacesa S.A., Metrovacesa Patrimonio S.A., Sareb and PBI Gestión Agencia de Valores. Ms. Francisca Ortega Hernández-Agero has a degree in Economics and Business Studies from CUNEF and an MBA from IESE. Ms. Pilar Cavero Mestre has a long professional career as a lawyer. Between 1980 and 1986 she was legal counsel at Asociación de Cajas de Ahorros para Relaciones Laborales. From 1986 to 1990 she worked as a labor lawyer at international law firm Fabregat y Bermejo, generating business for the firm as a whole. In 1990 she joined Cuatrecasas as founding partner and director of the labor practice, and co-founding partner of Cuatrecasas Madrid. 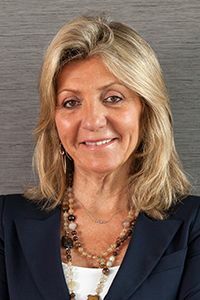 Between 1999 and 2008 she was a member of the Board of Directors of Cuatrecasas and of the firms’ different organizational and management committees. She has been Vice-president of Fundación Cuatrecasas since 2011, involved in training, cultural and other activities aimed at strengthening the firm’s reputation, representing the firm at important institutions such as Fundación Consejo España-Estados Unidos, Fundación CYD and Fundación Cardenal Cisneros. Since 2012 she has been Senior Partner and deputy General Manager of Cuatrecasas Madrid, with a particular focus on Business Development, institutional representative in Madrid, and lead partner for strategic clients of the firm. She has been a member of the Board of Directors Testa Inmuebles en Renta, SOCIMI, S.A. since June 29, 2015. Lastly, Pilar Cavero Mestre has a law degree from Universidad Complutense de Madrid, a Master’s Degree in Industrial Relations and a Master’s Degree in Legal Practice from Escuela de Práctica Jurídica. She also has an associate’s degree in Employment Law from Escuela de Práctica Jurídica and an associate’s degree in Temporary Contracts from ESADE. Mr. Juan María Aguirre Gonzalo has a professional experience in the field of finance, having held positions of responsibility in the Department of Risk, Administration and Planning at Banco de Progreso, S.A. (1985/1988), and later as Financial Director of the finance and leasing entity of Mercedes-Benz (1989/1990). He joined Torreal, S.A. in 1990 as a director and General Manager. 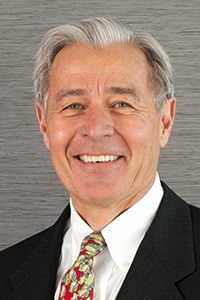 During his time at Torreal and before leaving the company in 2005, he was head of financial investment of the Torreal Group and a member of the Board of Directors of Torreal investees. Since 2006, he has been a partner and General Manager of QUANTICA ASESORES, S.A., which provides financial advice to family and institutional groups, and a director of Renta, SOCIMI, S.A. (2015/2015). 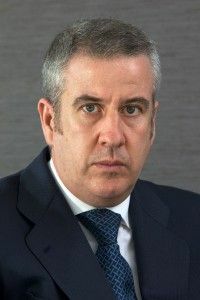 He has been a director of BBVA Elcano, SRC, CRB Inverbio and Mevion Technology; of various open-ended investment companies (SICAVs), Maltisa, Quantop and Gardama; of EOM Peru, CGU Colombia and Mantbraca Aruba; and of SACYR S.A., where he is also the chairman of the Audit Committee. Lastly, Mr. Juan María Aguirre Gonzalo has a degree in Economic and Business Studies from Universidad Pontificia de Comillas (ICADE), and Master’s Degree in Financial Management from Instituto de Empresa. Mr. Emilio Novela has held various executive positions in over 40 years of professional career, having worked in executive roles as well as being a member of Board of Directors, Management Committees and Advisory Committees. Mr. Novela has served as Deputy General Manager for Banco del Comercio, CFO for Repsol, Director for Banco Central Hispano and CEO for Vallehermoso, a Spanish listed real estate company, from 1999 to 2003. Mr. Emilio Novela has been a board member of, among others, Banco Urquijo, Mercedes Leasing, Cortefiel, Spanair and Union Fenosa. Mr. Emilio Novela holds a PhD degree in Industrial Engineering from the Universidad Politecnica of Madrid. 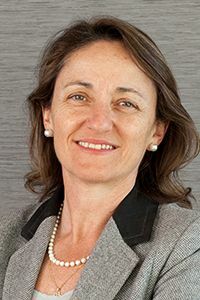 Ms. Monica Martin de Vidales Godino is a partner at Garrigues from 1997 to 2000 and from 2004 to date, and co-director of the Corporate Law Department of the firm since July 2013.She has spent most of her career at Garrigues, after having worked for Arthur Andersen Legal & Tax and a period between 2001 and 2004, where she worked as head of Legal Department and Secretary of the Board of Telefónica Media, SA.Specialized in Corporate Law, both for private and listed companies, Monica benefits from over 25 years of experience in all tasks involving corporate matters. Mónica Martín de Vidales Godino is a member of the Madrid Bar Association, with superior degree in law and Business Administration from the Universidad Pontificia de Comillas (ICADE). She is also associated teacher at the Universidad Pontificia de Comillas (ICADE) since 2011. 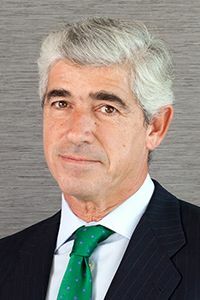 Mr. Ildefonso Polo is a partner of Garrigues, where he has developed almost all his career, after a brief previous tenure at EY (where he worked until August 1999). He is specialized in Corporate Law, particularly in the areas of (i) mergers and acquisitions and (ii) commercial contracts. Ildefonso is included in the Best Lawyers directory in the area of Corporate and M&A. Ildefonso Polo is a member of the Bar Association of Madrid, superior degree in Law from the Universidad Complutense and superior degree in Business Administration from the Universidad San Pablo-CEU.